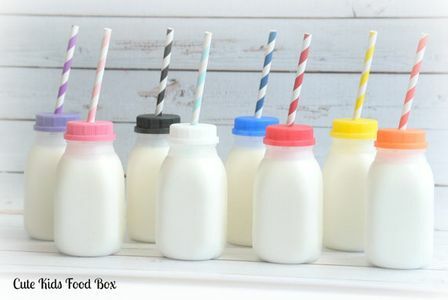 While working on a few upcoming children's birthday parties we discovered these adorable plastic milk bottles on Etsy. 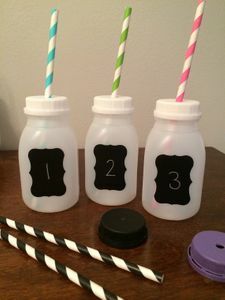 They are perfect for children of any age and can be customized for your party! 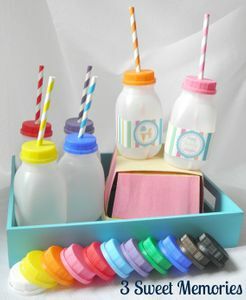 Some come with a variety of colored lids for the little ones and have holes in them for the paper straw of your choice. 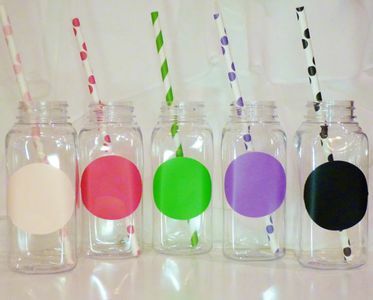 Many of them come with labels or chalkboard stickers so you can personalize them. 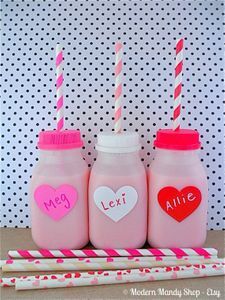 These would also be great for milk and cookie late night snacks at a wedding! These are just a few examples of the adorable options available on Etsy. Check them out today!